We are very pleased to announce we are working with Gualala Dance Studio, in downtown Gualala (Across from Surf Super Market). Classes are all Levels. See our yoga class prep and checklist here - and let us know you will be joining us! Currently we offer WEEKLY WEDNESDAY CLASSES with Private Class offerings available by request. 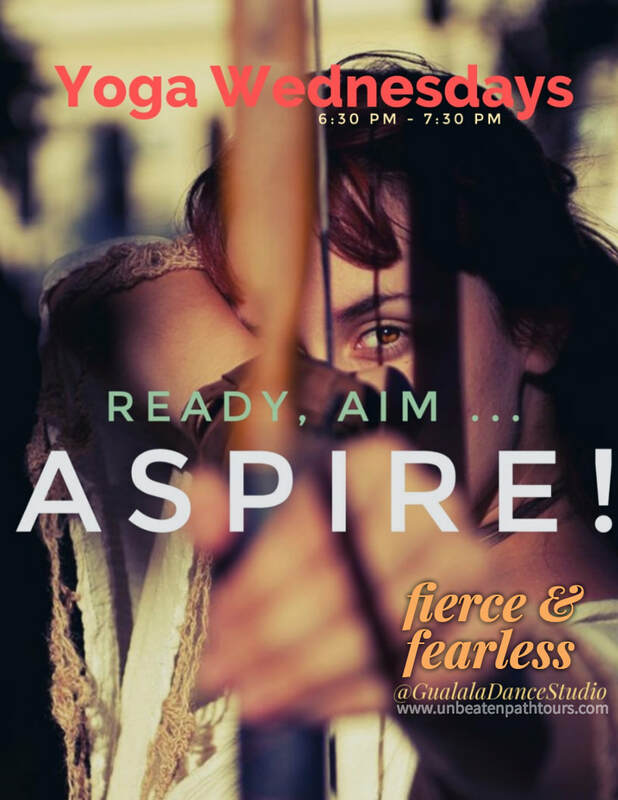 JOIN US FOR FIERCE & FEARLESS WEDNESDAYS! Sail STRESS FREE into the weekend with our midweek Re-Energizer Class! Become FIERCE & FEARLESS through breath technique, kriya (set of exercises to achieve a specific goal), meditation and mantra! This class is designed to work out deep muscle tension & stress, strengthen the immune & nervous systems and expand lung capacity. The class will finish with a powerful (and meaningful) meditation and/or mantra to unblock blocks, release anger, anxiety, stress, break negative and subconscious agendas & more! Performing meditation and mantras (chanting) as a group is so powerful! just to name a few of their powerful benefits! at your location or by availability. Payments required at the Beginning of Class Cash or Check only. All students must complete our Studio and Unbeaten Waiver Release form.